A Japanese team working to develop a “space elevator” will conduct a first trial this month, blasting off a miniature version on satellites to test the technology. The test equipment, produced by researchers at Shizuoka University, will hitch a ride on an H-2B rocket being launched by Japan’s space agency from southern island of Tanegashima next week. The test involves a miniature elevator stand-in -- a box just six centimetres (2.4 inches) long, three centimetres wide, and three centimetres high. If all goes well, it will provide proof of concept by moving along a 10-metre cable suspended in space between two mini satellites that will keep it taut. The mini-elevator will travel along the cable from a container in one of the satellites. “It’s going to be the world’s first experiment to test elevator movement in space,” a university spokesman told AFP on Tuesday. The movement of the motorised “elevator” box will be monitored with cameras in the satellites. 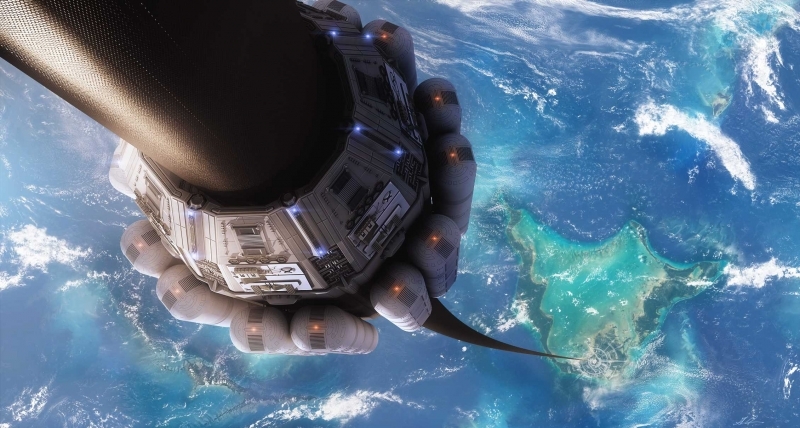 It is still a far cry from the ultimate beam-me-up goals of the project, which builds on a long history of “space elevator” dreams. The idea was first proposed in 1895 by Russian scientist Konstantin Tsiolkovsky after he saw the Eiffel Tower in Paris, and was revisited nearly a century later in a novel by Arthur C. Clarke.